Beth Green is an American freelance writer and English teacher living in Prague, Czech Republic. She works as a freelance writer, writing coach, proofreader and social media manager, and is currently looking for additional projects. She grew up on a sailboat and, though now a landlubber, still enjoys a life of travel. She has lived in several locations in Europe and Asia. Beth is a fan of international crime fiction, and also pens suspense about travel and expatriate living. 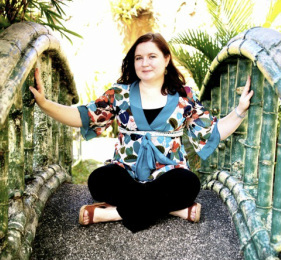 When not writing, Beth enjoys reading, scuba diving, photography and the art of traveling simply. Beth is the book columnist for the Displaced Nation, an online "home for international creatives," and a former blogger with the Novel Adventurers, a group of writers who love to travel. She is also a member of the Sisters in Crime mystery writers' association, and a member of its online chapter, the Guppies. She holds a bachelor of science degree in Journalism and Mass Communication, and a bachelor of arts degree in Spanish Language and Culture, both from the University of Idaho.